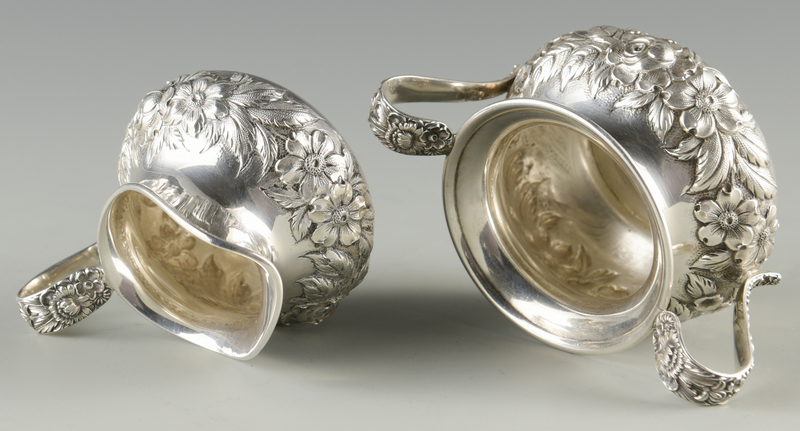 1st item: Sanborns Mexican sterling round serving bowl with fluted sides and leaf and vine scalloped rim. 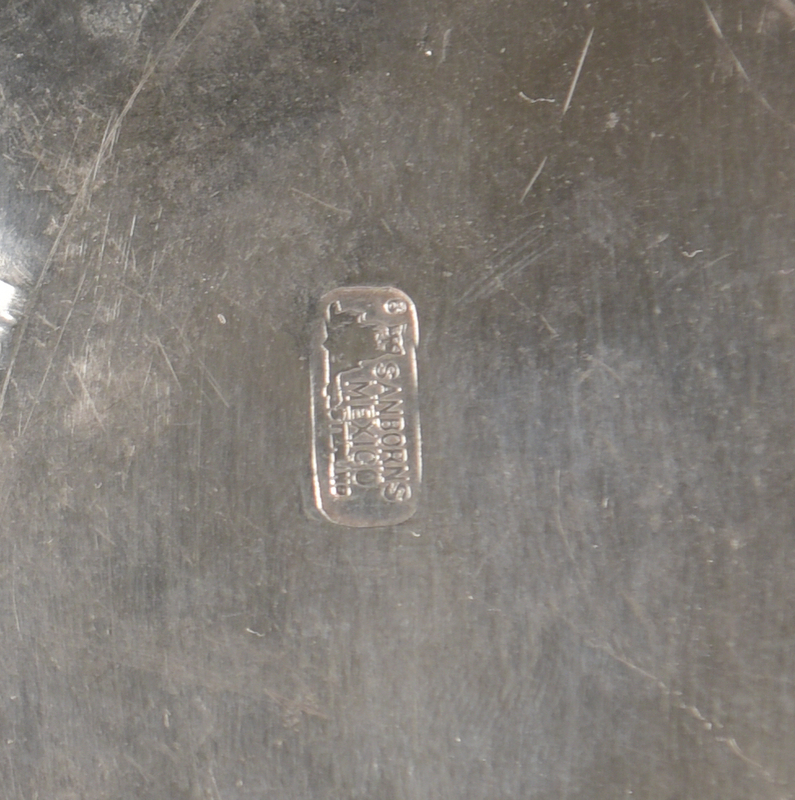 Maker's marks and "Sterling" on base. Mid-20th c. 1 5/8" H x 10 3/4" dia. 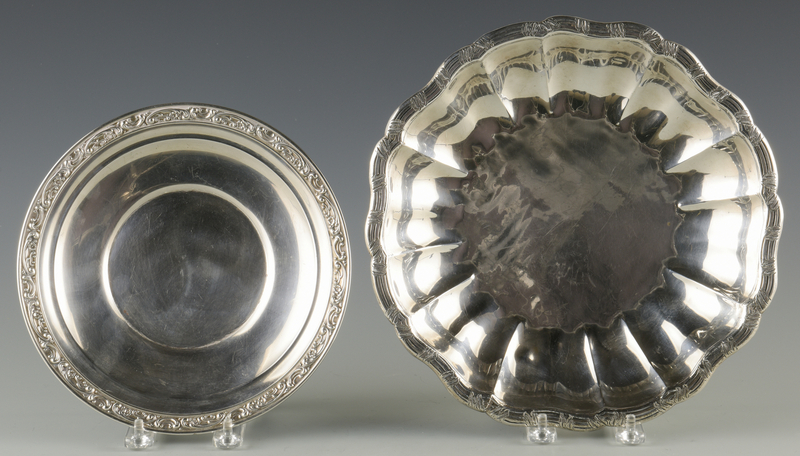 2nd item: Gorham round tray with embossed scroll and floral border, Maker's mark and 1222 on base, early 20th c., 8 1/2" dia. 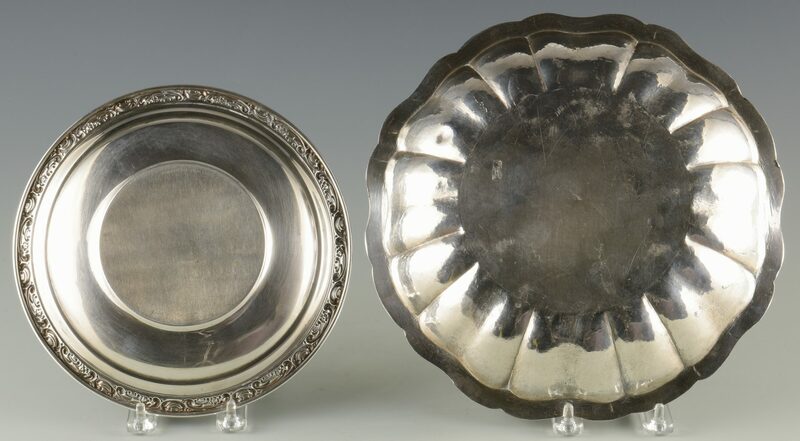 3rd & 4th items: S. Kirk & Son Repousse 2-handled sugar and creamer set, maker's mark and 418AF on bases, mid-20th c. (sugar: 2 3/4" H 4 3/4" W x 3 1/2" D overall). 32.93 total oz troy. Provenance: Private Knoxville, TN collection. 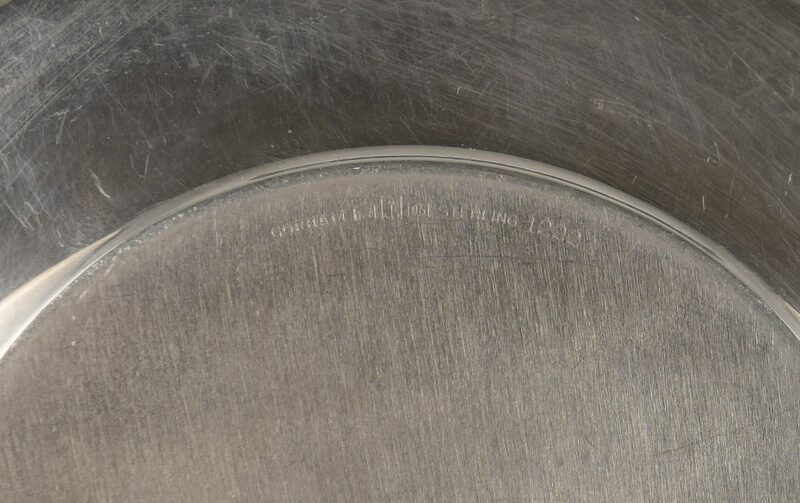 CONDITION: 1st item: 1/2" shallow dent lower side of bowl and scattered surface scratches. 2nd item: Scattered surface scratches and few fleabites. 3rd/4th items: Very good condition with light surface wear. No items monogrammed.